Why And When Do You Need Well Chlorination? The above is the use of chlorine to kill microorganisms that may be potentially harmful in a well. Water that comes from a newly constructed, a repaired one, or a well that has its sanitary seal removed, is thought to be contaminated. Bacteria that are usually found in the soil and other surfaces around the well contaminate the water. The bacteria often go in the well in the course of maintenance, repair or construction and during proper decontamination of the water system and the well itself is necessary. Regular testing of well water is necessary and when the water sample analysis shows that the water contains coliform bacteria, appropriate disinfection is used to get rid of the impurity. Correct chlorination is necessary when a water analysis indicates nuisance bacteria are present in the water. 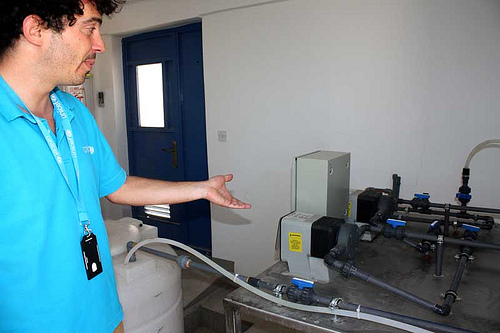 It is a good idea to get professional services to ensure that the chlorination process is carried out effectively. Chlorination is also used as a way to reduce odor in the water that may occur from time to time. You need to know that you cannot use freshly chlorinated water for bathing and laundry for at least 24 hours. This means that you should try to catch up on your laundry and other household tasks before the water is treated. Preparations will help to ensure that you do not have too much backlog of your tasks. If you intend to apply the chlorine yourself, make sure that you determine the amount of bleach that you need for your well and note that this will depend on the type of well that you have. Use non-scented bleach and remember to purchase a chlorine test kit in advance. Open the well cover and carefully pour the bleach into the well. Try to coat the well’s inner walls with chlorine when pouring it in. If you are using a cartridge filter, make sure that you have a spare cartridge, as the filter tends to clog quickly. Connect a garden hose to an outside faucet or storage tank and run it into the top of well. Open the spigot to maximum and allow the circulation process to go on until you detect chlorine from the hose. When the chlorine level is strong, use the hose to wash down the well’s inner walls and then shut the water off and replace the cover on the well. The time that it will take to complete the process will depend on the type of well that you have. Half an hour is adequate for a shallow well, while a deep, drilled well can take a couple of hours. When the hose is running the chlorinated water, keep it away from clothing and your skin as it may cause damage or staining of clothing and it can also lead to skin or eye irritation. If you have an electric water heater, run hot water for about 10 to 15 minutes to replace the un-chlorinated stored water with chlorinated water. Discharge the chlorine 24 hours after you start chlorinating. Use a garden hose to run the water outside and monitor the chlorine level until you notice a reduction as fresh water gets into the well then dilutes the treated water.